I'm super excited to be hosting my first guest post today - the awesome Jess Keating, author of two books that fit perfectly in my 5th grade classroom library! I was glad to see that her next book was coming out soon...none of this waiting an entire year for a sequel business. 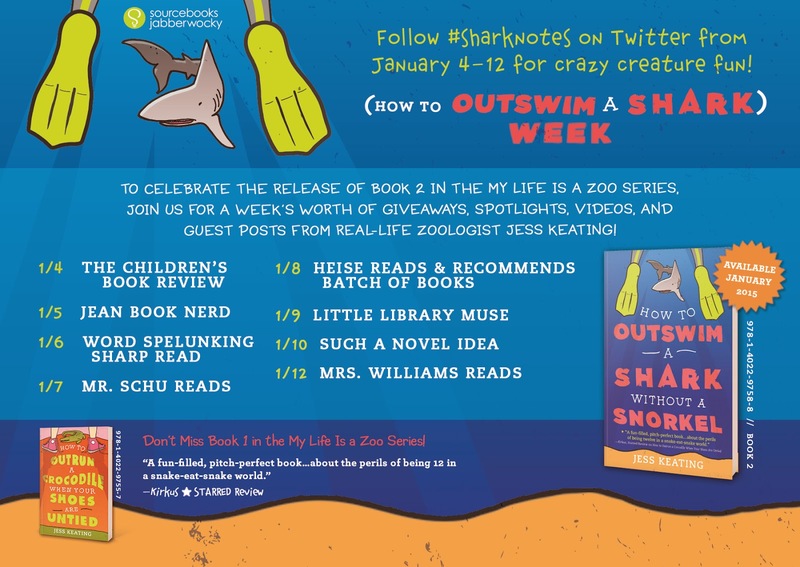 I was so excited to get an ARC of How to Outswim a Shark Without a Snorkel - which is why we are here today. 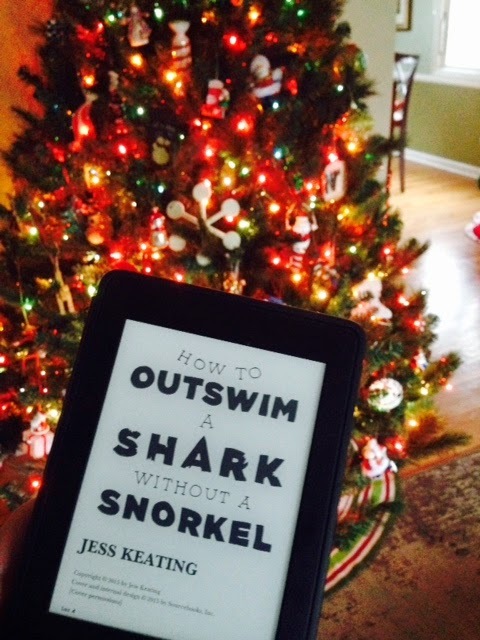 How to Outswim a Shark Without a Snorkel takes place right after the first book. Ana is still Ana - she is just so relatable to kids this age. All the same worries and fears that I see in kids every day - trying to fit in, while also staying true to who she is. Another thing I love about Jess is that she weaves science into her books so seamlessly...readers learn a lot about zoos and animals when reading her books. They are a great mentor text for kids who want to infuse facts into their fiction writing. Being a classroom teacher, I was thrilled to see that Jess decided to give kids some writing tips today...I can't wait to share these with my fifth graders! 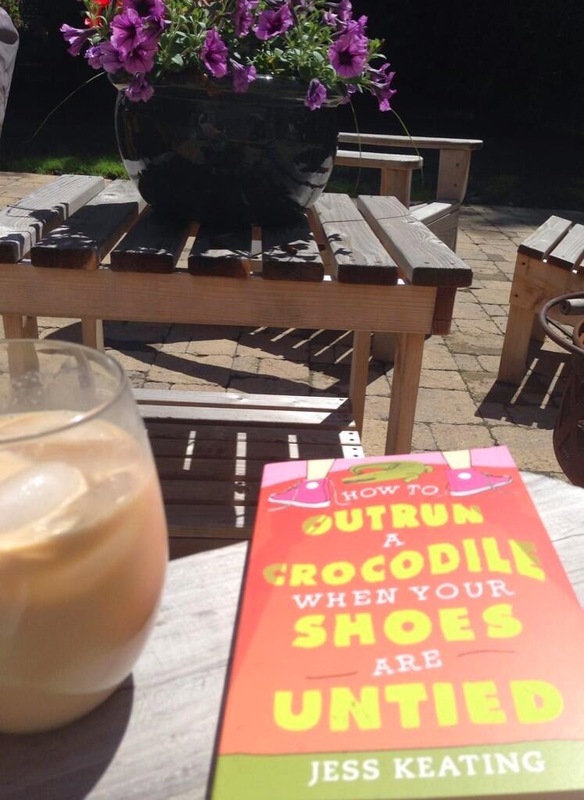 Enjoy Jess's post and don't forget to check out her other amazing posts from the last week! I'm so thrilled to be chilling at Christina's blog today to celebrate the release of my latest book! (Sidenote: you should read it! It's funny and has wetsuits and sharks in it!) But today, I wanted to switch things up and chat about being a young writer. When I was in school, I always wanted to be a writer. I collected notebooks, I scribbled stories in the margins of my schoolwork, and I read a zillion books. But I never felt like a writer. Surely the people who wrote books—actual books that I could find on my shelves—had some super secret power or talent that I didn’t know about. I'm going to share something I didn't realize back then. Do you want to know what makes you a writer? It isn't having the right notebook, or getting an A in English class, or even those funky pens that with the feather on the end. Being a writer is much simpler than that. All you have to do to be a writer is write. That's it! But sometimes writing is hard. And instead of tapping away happily at your masterpiece, you're left staring at your words thinking they're nothing more than a giant pile of word-garbage that smells worse than last night's dinner you forgot to put in the fridge. So I wanted to share some tips for young writers, for all the kids out there who want to write, but have no idea where to start. Still with me? Let's do this. #5. Pretend you've got a time turner. (You know, one of those gizmos from Harry Potter that lets you go back in time.) You don't always need to write about fantastically crazy things—sometimes real life is the best inspiration. Use your time turner to go back in time, and rewrite a scene from your own life. You can even pick something that went horribly. Rewrite it to make something great happen! Your own experience will always prompt the best stories. #4. If you can't think of a character, borrow someone else's! When you're trying to get your story going, it can be very easy to get overwhelmed. There are so many decisions to make! Who is your main character? Where is the story set? What's the point of this, anyway? One way to break away from the clutter in your brain is to borrow a character you already love, and write a new story for them. Do you love Hermione? Pluck her from the air and give her a new story. What if Hermione opened an animal shelter? Or what if Katniss discovered a fire-breathing dragon? When you take a character you already know and put them in a new situation, your imagination sets fire and sends you all sorts of ideas. Roll with it! Before you know it, you will be scribbling madly. #3. Break the rules. I know. Some rules are important. "Don't eat yellow snow" is a rule I will always follow. But when it comes to writing, you are free to break any rule you want. All that matters is that you're writing! You can always go back later and rewrite what doesn't work. #2. Build a 'Thought Spot'. What exactly is that, you ask? It's a spot to keep your thoughts! This is a handy trick for anyone who gets bummed because they can't decide what to write about first because they have SO MANY ideas. When your family is finished eating all the pickles, clean out the jar and grab yourself some paper. Then, I want you to list every single thing you think is cool. I mean it! EVERYTHING. For example, my jar would have stuff like, "pizza", "blobfish", "the smell of books", "oak trees", "sharks", "key lime pie", "the sound of tap-dancing shoes", "dodo bird bones" and "magical potions". Cut them out so it's one thought per piece of paper and stuff them into your jar. When you want to write, grab three thoughts from the jar. Now your job isn't to write about a million things—it's just to write about those three. Think up a way to use all three together. You'd be surprised how quickly you think of a way to incorporate your three cool things into a story! #1. Make mistakes! I know. Mistakes are no fun. When I was a kid, I used to think that writers sat down at their notebooks and cranked out wonderful books, just like that. I thought they started on page one, wrote their story, then happily typed "The End". The whole thing seemed so simple! But I'm here to tell you that writing is ALL about making mistakes. Sometimes I spend a whole week writing something that I will end up not using. But words are magical things—sometimes the wrong words can lead you to the right ones, without you knowing it right away! I promise you, the more mistakes you make, the more 'right' ideas you will find! Do you have any writing tips for students? Leave them in the comments! Thank you so much for having me, Christina!